Evan Sussman (center) is surrounded by his Little League teammates at last week’s farewell get-together at Fiddler’s Green in Carmel. Evan Sussman will soon be off to a special residential school in Massachusetts. Sussman, 15, a resident … Please login below or purchase a subscription to the Putnam County Courier to access this content. 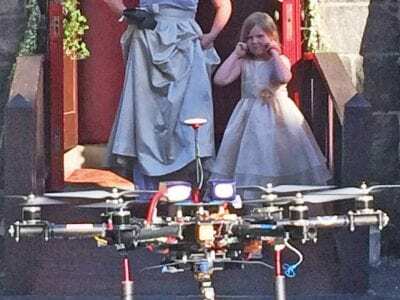 The drone in action, rising from the asphalt as the church door opened. The young girl shields her ears from its loud humming. 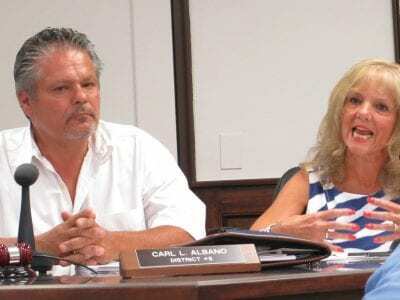 Sparks are flying between U.S. Representative Sean Patrick Maloney and opponent Nan Hayworth over the use of a private dron… Please login below or purchase a subscription to the Putnam County Courier to access this content. Dollie Lancaster and Walter Bronson place the finishing touches on a veterans monument at the Union Cemetery in Kent Cliffs last Friday. 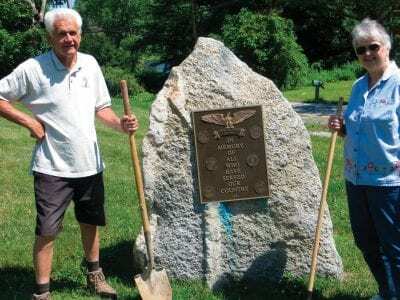 A small rural cemetery in western Kent is now home to a veterans memorial recognizing the 59 brave men and women … Please login below or purchase a subscription to the Putnam County Courier to access this content. I-684 traffic was severely backed up following the bizarre road incident. 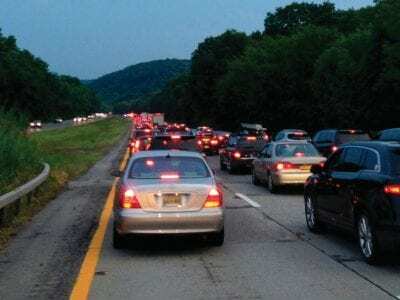 A routine 30 minute drive from the Hamilton Fish Newburgh-Beacon Bridge to Putnam County became a nightmare for thousands of motorists Sunday afternoon, when a large truck caug… Please login below or purchase a subscription to the Putnam County Courier to access this content. Top Right: Canine Trooper Francine Torhan and her year-old sidekick “Wiltse” enjoy meeting with Jim Papa of Putnam Lake at the affair on Sunday. Middle: Jennifer Lauer- Polonkow of Brewster is at the center of attention when the mom-to-be… Please login below or purchase a subscription to the Putnam County Courier to access this content. 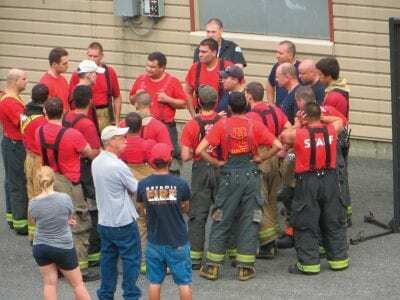 Members of the class receive final instructions prior to the fire being set inside the Burn Building. The future of Putnam’s volunteer firefighting force went through the paces Sunday when a “live burn” at the county’s Fire Tr… Please login below or purchase a subscription to the Putnam County Courier to access this content. The last bell of the school year barely rang when over 200 kids, parents and neighbors came to the library to enjoy the big Summer Kick Off Block Party. Visitors of all ages enjoyed the festivities held in the beautiful Patterson Library Park. Great… Please login below or purchase a subscription to the Putnam County Courier to access this content. The Friends of Brewster Public Library will be holding a Book Sale on Friday, September 5th, Saturday, September 6, and Sunday, September 7th (Founder’s Day) from 10am to 3pm. The Library is now accepting donations of books, DVDs, and CDs in good co… Please login below or purchase a subscription to the Putnam County Courier to access this content. Hopewell Depot Restoration will be holding its next Arts and Crafts Expo on Saturday, August 2, from 10-3 at the Depot, 36 Railroad Avenue in Hopewell Junction. The Depot is located at the Hopewell end of the W.R. Steinhaus Dutchess Rail Trail. Wat… Please login below or purchase a subscription to the Putnam County Courier to access this content.